About Eunice Maya Kohara, D.O. Eunice Kohara, D.O., is a board certified pediatric ophthalmologist and strabismus surgeon. She specializes in the medical and surgical treatment of pediatric and adult strabismus, as well as the treatment of all childhood eye conditions. Dr. Kohara graduated from University of California, Santa Barbara and received her medical degree from Touro University California, College of Osteopathic Medicine. She then completed her ophthalmology residency at St. Johnâs Espiscopal Hospital/ Interfaith Medical Center, where she served as chief resident, and went on to complete her fellowship in pediatric ophthalmology and strabismus at Wills Eye Hospital. My mission is to help each one of my patients achieve and maintain their best vision possible, while establishing compassionate relationships with them as I would with my family. Dr. Kohara loves taking care of her patient and their families. She treats many children with special needs, including Autism, Down Syndrome, genetic disorders, and other syndromes. Her goals are to help each child develop healthy eyes and achieve their best possible vision. She is skilled in the treatment of a wide variety of eye disorders, including refractive errors that require glasses, eye muscle disorders, amblyopia, cataracts, tear duct disorders and eyelid disorders. She is fellowship-trained to perform a wide variety of pediatric ophthalmic surgeries, including pediatric and adult strabismus surgery, cataract surgery, tear duct surgery, and oculoplastic surgery. Dr. Kohara also treats adults with eye muscle disorders and double vision stemming from a wide variety of causes, including thyroid disorders, cranial nerve disorders, tumors, and long-standing strabismus. She utilizes both medical and surgical treatment to achieve the best possible results for her patients in accordance with their goals. Dr. Kohara is a member of the American Osteopathic Colloege of Ophthalmology & Otolarygology, American Academy of Ophthalmology, and American Association for Pediatric Ophthalmology and Strabismus. She believes in and is committed to excellent and caring treatment of her patients and their families. 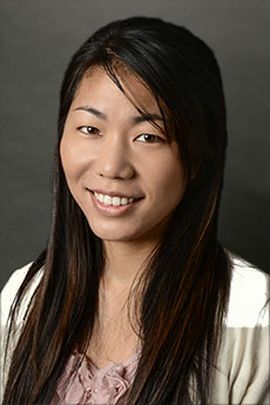 She looks forward to making long-term relationships with all of her patients and to welcoming new patients to the practice. A native of California, Dr. Kohara grew up in a family of five in Southern California. In her free time, she enjoys running, reading, art, live music, and visiting places around the world.